If your child is being charged with a crime, you will want a juvenile criminal defense lawyer on your side as soon as possible. 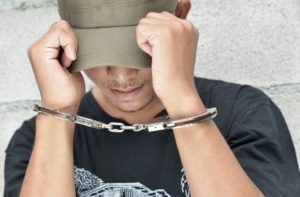 Juvenile crimes have very different criminal consequences than the same crimes committed by adults, and juveniles are not entitled to a trial by jury. This means your Rockville juvenile criminal defense attorney will be working directly with the Office of the State’s Attorney and juvenile court judges to help ensure your child gets the fairest and most beneficial punishment if found to be delinquent. If you are in need of a juvenile defense lawyer in Rockville, Derwood, North Potomac, Darnestown, North Bethesda, Garrett Park, Kensington, Gaithersburg, Silver Spring, and Wheaton, Md, please contact the Law Office of Leon A. Geller or call 301-309-8001 today to schedule a free and informative consultation. In some instances, a juvenile will be accused of a crime he or she did not commit. Juvenile crimes are often committed by children who were not thinking clearly. Adolescents are known for making poor decisions, but when a poor decision results in an arrest, the consequences can be devastating. Leon Geller has a keen understanding of juvenile law and a deeply held belief that children who commit crimes need help, not severe punishment. He will work with the State Attorney’s Office on alternative sentencing that addresses underlying problems to ensure your child gets the help he or she needs now to keep them from breaking the law in the future. Juvenile offenders deserve experienced and dedicated representation from a lawyer who truly has their best interests in mind. Attorney Geller would be happy to meet with you and your child free of cost to discuss your child’s charges, provide honest information about your options, and help you determine the best course of action. To schedule your obligation- and cost-free consultation with our Rockville juvenile criminal defense lawyer, please contact us today. Attorney Geller provides affordable representation for families in Rockville, Derwood, North Potomac, Darnestown, North Bethesda, Garrett Park, Kensington, Gaithersburg, Silver Spring, and Wheaton, and surrounding Maryland communities.